Pick up from Cochin Railway Station or Airport. Transfer to hotel. Afternoon you will be taken for a guided sightseeing tour. 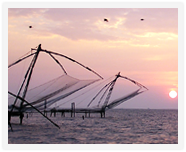 Older parts of Fort Cochin and Mattancherry have an unlikely blend of medieval Portugal, Holland and also of an English country village grafted on the Tropical Malabar Coast – a radical contrast to the bright lights of mainland Ernakulam. You will be taken to the St. Francis Church constructed by Portuguese – said to be India’s oldest European built church, Mattancherry Palace where the astonishing murals depicting stories from Ramayana, Mahabharatha and Puranic legends are seen. Next stop is at Paradesi Jewish Synagogue, originally constructed in 1568. In the evening, you can enjoy the Chinese fishing nets area. Overnight stay at hotel. After breakfast drive to Munnar. Munnar known as the ‘High Range of Kerala', 1524m above sea level. 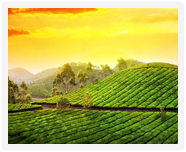 The combination of craggy peaks & manicured tea estates make Munnar an ideal retreat. Check in to the hotel and take rest till 16:00 Hrs. Proceed to Munnar Town at 16:00 Hrs. 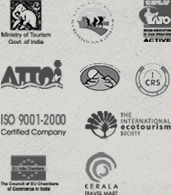 Visit Munnar market and do shopping as per your wish. Evening, visit Blossom Park and Pallivasal view point. Overnight Stay at Munnar. 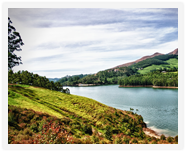 After breakfast, you will be taken for a sightseeing tour of Munnar visiting Raja Mala - the highest peak in Munnar, Eravikulam National Park where Nilgiri Thar are found, Mattupetty dam, tea plantations and Echo-point. Overnight stay at the same resort. After breakfast, drive to Thekkady, the venue of the famous Periyar (Thekkady) Wildlife Sanctuary, one of the most well-maintained wildlife sanctuaries of south India. Spread out over an area of 777 sq km, the sanctuary boasts of a splendid artificial lake formed by the Mullaperiyar dam across the Periyar river, which adds to the charm of the park. This is the only sanctuary in India where you can have the unique experience of viewing wildlife at close quarters as you cruise along the lake in the confines of a boat. 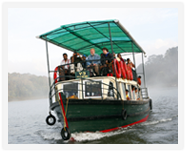 Once you reach, check in at hotel for the night, sop you have the afternoon free to enjoy that boat ride on Periyar lake. Overnight at hotel. After Breakfast, drive to Kumarakom. Kumarakom, A nice Backwater Village hidden among the palm trees on the eastern shore of Lake Vembanad, at the mouth of the Kavanar River. Nature itself has set on an abandoned coconut plantation in the very heart of these fascinating backwaters and has been designed to give visitors an authentic insight into Kutanad life. Most of the places can only be reached by boat - a ferry leaves from one of several mainland embarkation points at scheduled times throughout the day. Afternoon visit Kumarakom Bird Sanctuary. Overnight at hotel. 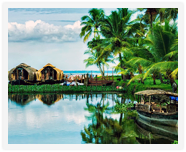 With the Arabian Sea in the west and a vast network of lakes, lagoons and fresh water rivers criss-crossing it, Alleppey is referred to as the Venice of East by travelers from across the world. This backwater country is also home to diverse animal and bird life. Enjoy spectacular lush green paddy fields, where you may enjoy an unique nature, life style of village people and their activities like Coir roping, Toddy tapping etc. Proceed to Alleppey Beach. Overnight stay at resort in Alleppey.